Once upon a time, when I was a small child, my father and I shared a nighttime story ritual. He would sit by my bed and weave intricate tales of the adventures of two young explorers. Our heroes hiked the deep North Woods, climbed tall mountains, built and sailed wooden ships, braved fierce blizzards, and paddled their canoe through tumbling white water. I would drift off to sleep with the sound of the wind whispering in the pines and the scent of wood smoke wafting through my dreams. Nothing made as big an impression on my youthful mind as the time our young daredevils went spelunking. My father drew an image so detailed that I could see those caves as if I was there: a warren of rooms small and large filled with stalactites, stalagmites, weird rock faces, and glittering crystals. There were chimneys soaring toward the sky, deep drops into darkness, underground rivers, tiny tunnels that suddenly opened into cavernous spaces, and everywhere the drip-drip-drip of water. I am quite sure that my love of nature was born from these nightly tales. 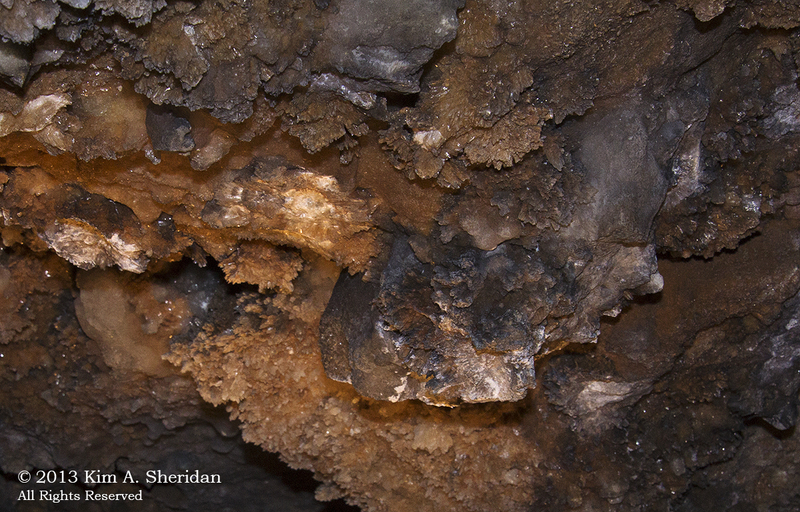 And I don’t think it’s any coincidence that I should feel so at home on my first-ever visit to a cave last weekend. 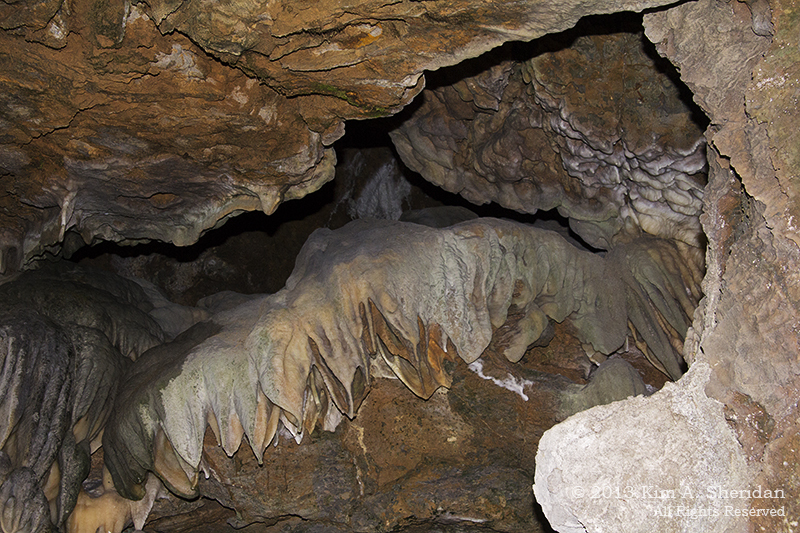 The cavern in question is Crystal Cave, a small limestone cave a little over an hour from my house. 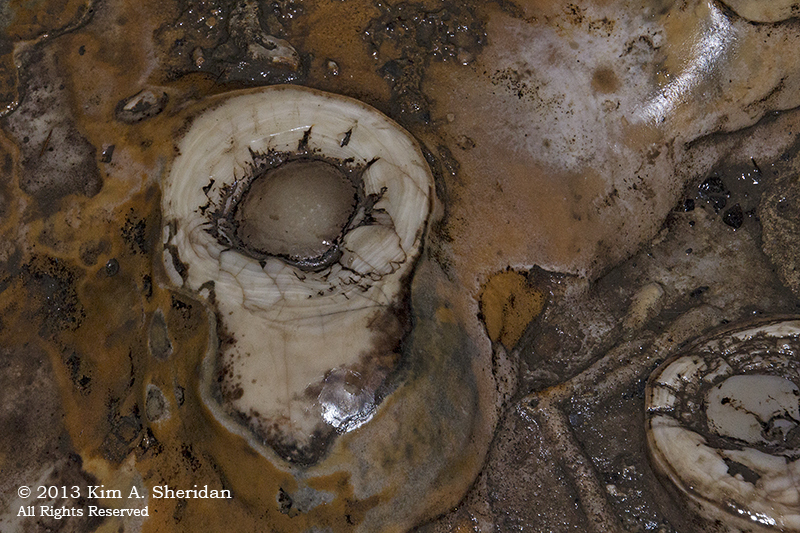 It was discovered in 1871, and became the first tourist cave in Pennsylvania. Today you can take a guided tour 125 feet underground to see the weird rock formations and sparkling crystals that adorn the maze of rooms in this cave. 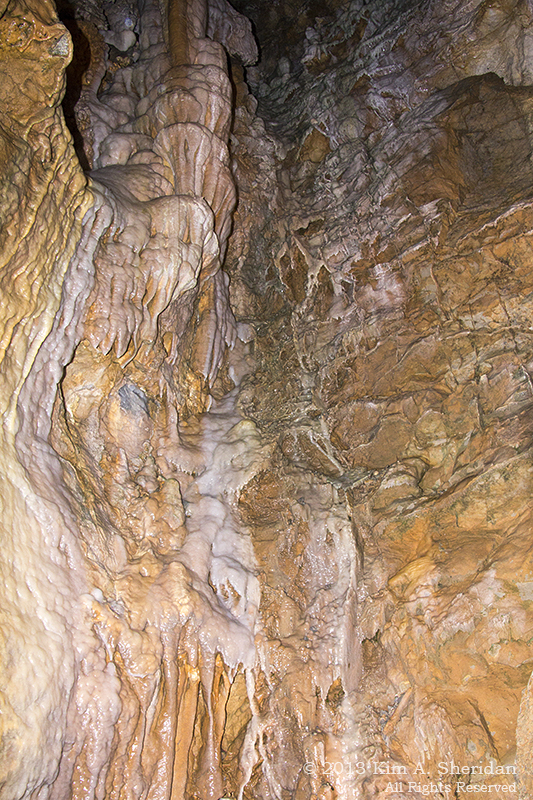 FUN FACT: Caves form when rainwater seeps through cracks and fissures in the sedimentary bedrock of the ground. 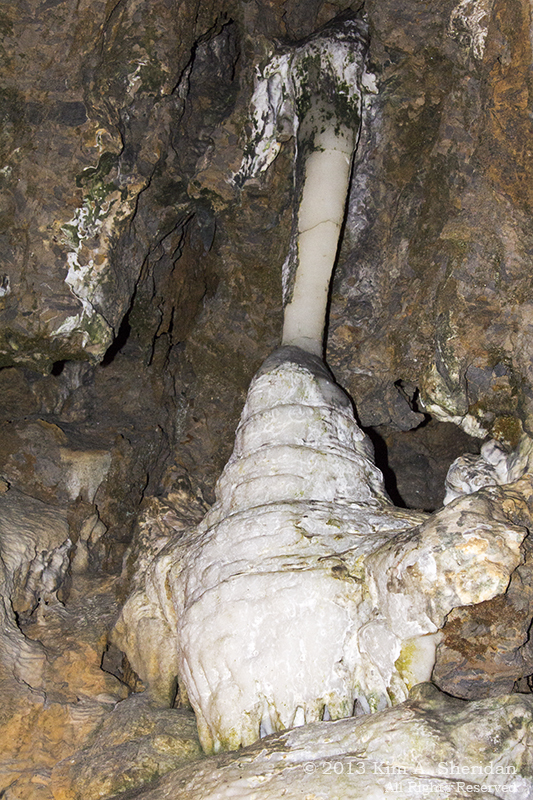 If the rock has a high content of calcium carbonate, like limestone, the rainwater forms an acid which eats through the rock, creating tunnels and caves. 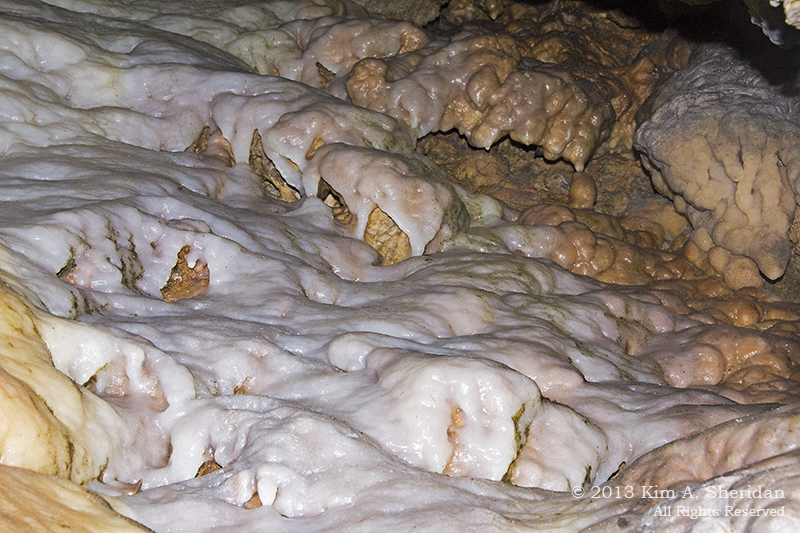 Dripping water leaves deposits of calcite behind. 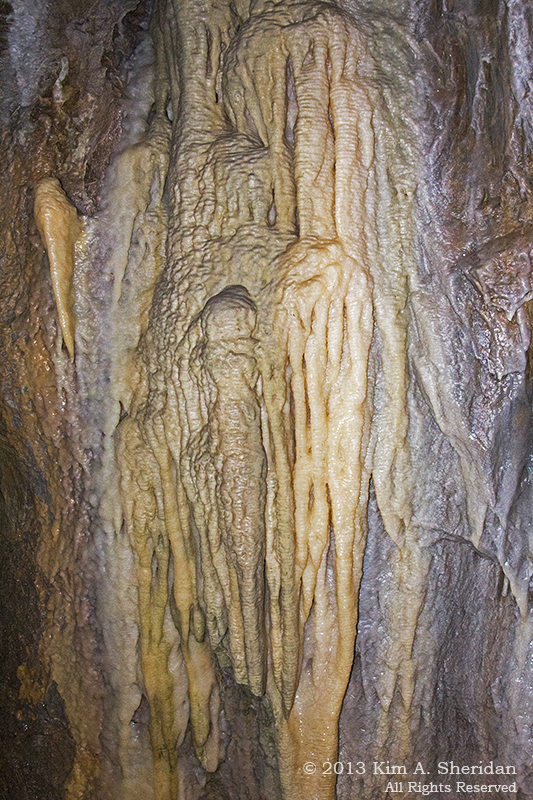 These are the “speleothem” or formations of the caves, such as stalactites and stalagmites, columns, flowstone, draperies, even “cave bacon”. 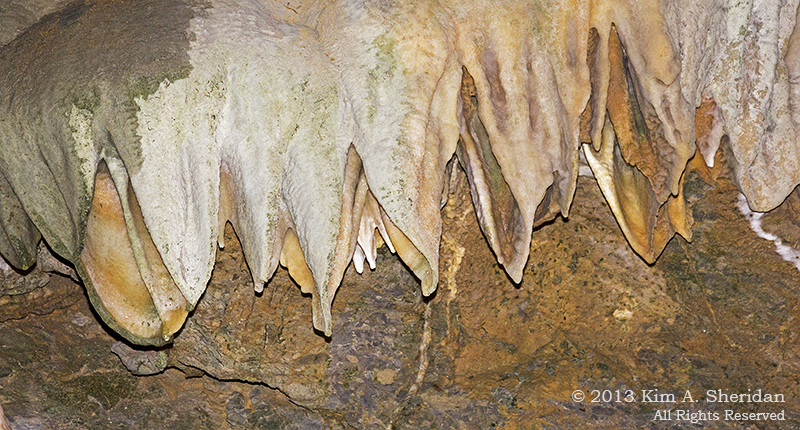 Many of the individual formations in Crystal Cave have their own names, like the Prairie Dogs, the Ear of Corn, the Giant’s Tooth, and the Indian Head. I don’t know the official name for this, but I call it The Michelin Man. Fried Eggs on the floor of the cavern. They’re very small, just a few inches across. I’m sure this formation inspired an alien on Dr. Who. It’s flowstone, more colorfully called a frozen waterfall. 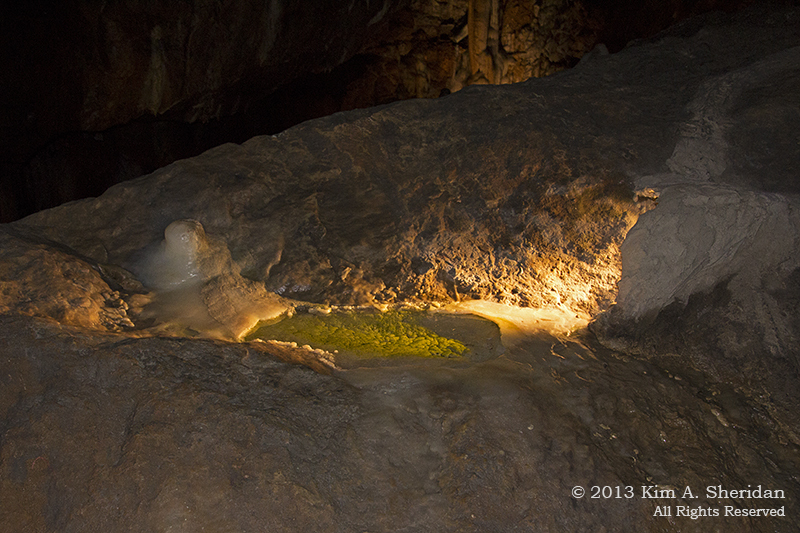 Many caves have extensive water features, underground pools and even rivers. Crystal Cave is a bit lacking in this department, with only one small pool a foot or two across. They call it… Lake Inferior. 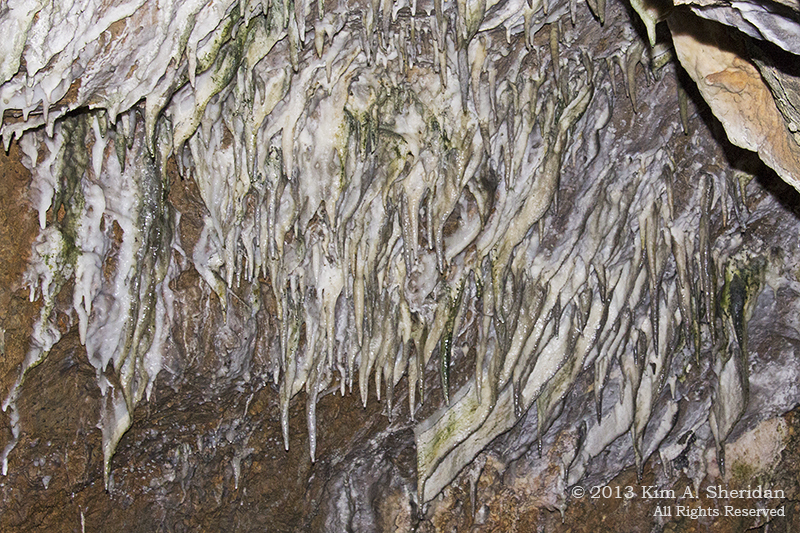 This entry was posted in Nature and tagged Caves, Crystal Cave, Geology by Kim. Bookmark the permalink. Interesting idea. Maybe I’ll take it up with the author in the family over the holidays.